Subject: YOUR EMAIL ADDRESS IS A CATEGORY A' WINNER!! CONTACT USIMMEDIATELY! YOUR EMAIL ADDRESS IS A CATEGORY A' WINNER!! CONTACT USIMMEDIATELY! 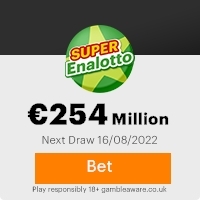 This is to confirm that you have received from the Power ball an official notification of your lottery winning in the 28th November, 2007 online promotion draw. You have won a prize of Two Millions Euros (2.000.000.00) a prize payout of your winning has been approved by Netherlands Lottery Board. In accordance with the world lottery ordnance, you are authorized as the official lottery prize winner to immediately file in for your claims upon receipt of this mail. Note that Power ball Lottery will remit prize payout strictly to winners who officially file in for their prize claims. To begin the claim process of your prize, you are requested to complete the informationâs below and forward same to the program coordinator. You are to keep your winning details from the general public as a case of double claims will not be entertained. This Email with the Subject "YOUR EMAIL ADDRESS IS A CATEGORY A' WINNER!! CONTACT USIMMEDIATELY!" was received in one of Scamdex's honeypot email accounts on Sun, 09 Dec 2007 11:15:29 -0800 and has been classified as a Generic Scam Email. The sender shows as pball14@voila.fr, although that address was probably spoofed. We recommend that you do not attempt to contact any persons or organizations referenced in this email, as you may expose yourself to scammers and, at the very least, you will be added to their email address lists for spam purposes.